Switch to a Child Friendly Search Engine! Right-click in the URL bar. 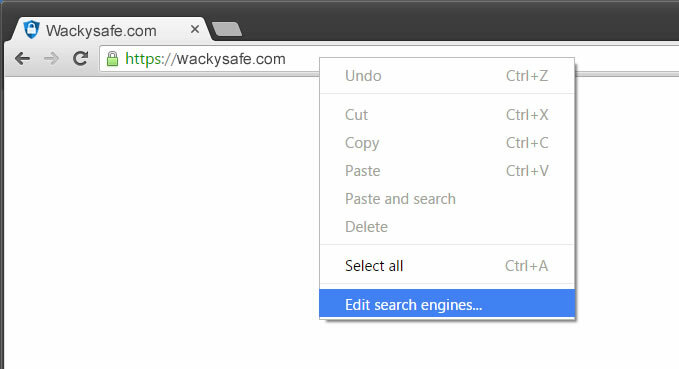 Click on 'Edit search engines...' when the context menu appears. Click the 'ADD' button in the bottom right hand corner. 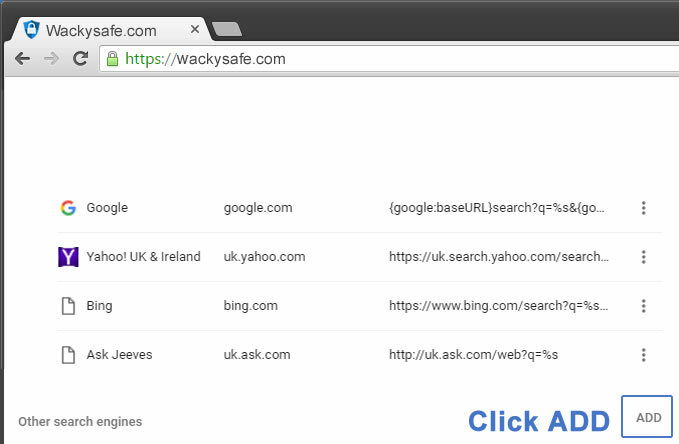 Scroll through the list of search engines until you find our listing for WackySafe, then click 'Make default'. 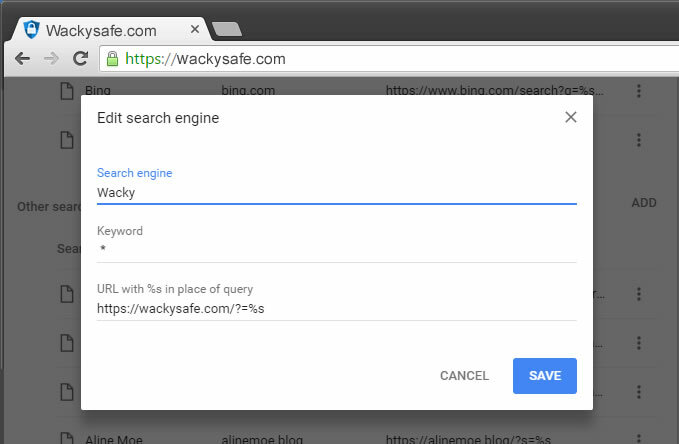 © Copyright 2017 WackySafe.com - The Safest Search Engine for Kids - Block Harmful Content And Keep Your Child Safe Online.